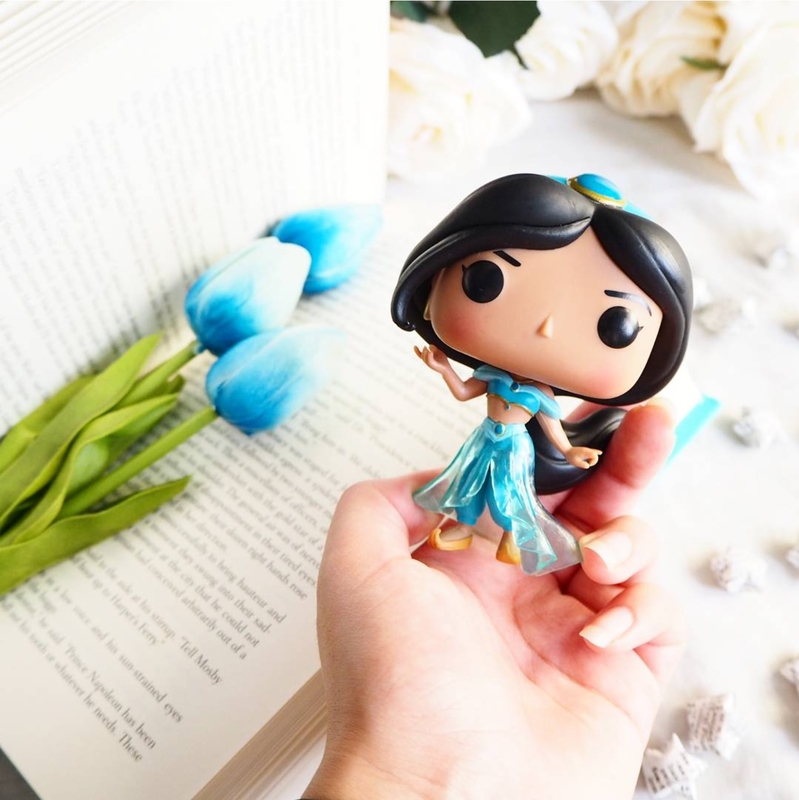 Despite my ever-growing army of Disney Funko Pops, I haven’t done a Grisly Disney post in a while! Let’s dive back in with a little number known as Aladdin! So I thought I’d kick things back off with Aladdin, one of Disney’s most popular animated classics of the 90s. It’s one of the most well known tales from One Thousand and One Nights (or Arabian Nights as it’s more commonly known in the western hemisphere). What I like about Arabian Nights is its story-within-a-story-concept; each story is framed by a tale of Scheherazade and the Shahryar, the fictional Persian Sassanid King. The story goes that the king was betrayed by his queen, who was unfaithful to him, and after that, he vowed to marry a new virgin each day, and behead her at dawn so she had no chance to be unfaithful to him. By the time he met Scheherazade, he had beheaded over a thousand women – but Scheherazade had a plan. Before her beheading, she asked if she could say a final goodbye to her sister, Dunyazade, who had secretly been prepared to ask her sister to tell her a story. Her sister obliged, and the king lay awake, listening to her story throughout the night. However, cunning Scheherazade stopped in the middle, saying it was dawn so she could not go on since her night with the king was up. The king, desperate to hear the rest of the story she’d woven, kept her alive for another night so she could finish it, only to have the same thing happen again. Scheherazade was described as being pleasant and polite, wise and witty, well-read and well-bred, but after a thousand and one nights, she’d exhausted her knowledge of history books, poets, sciences, arts, and more, and she told the king she had no more stories to tell him. However, by this time, the king had fallen in love with her, and made her his queen. The story of Aladdin was part of Arabian Nights and thus was told by Scheherazade (basically the queen of the cliffhanger! ), but it wasn’t actually part of the original Arabic text – it was added in the 18th century by Frenchman Antoine Galland. As we all know, it’s set in Arabia – or is it? Disney’s take on the tale is set in Agrabah, which is said to be a mythical place in Arabia, inspired by Agra in India, and Baghdad in Iraq. However, in the original tale, Aladdin was actually set in China. He had a mother and father, so he wasn’t a lonely orphan whose only family was his pet monkey. Whilst Disney’s Aladdin is a thief, he’s still a moral character who only does it to survive. However, in the original, he is lazy and prefers to play outside with the street urchins instead of working, and his father actually dies of shame due to this. This also forces his mother to pick up the slack and take up weaving to keep their family going. Jasmine, in the meantime, is known as Badroulbadour in Arabian Nights, a princess from the Far East who is much more blasé about getting married and certainly doesn’t leave the safety of her gilded cage of a palace to avoid meeting another suitor she’s supposed to marry. She’s also nowhere near as quick-witted and bright as Disney’s Jasmine; she’s frequently duped into fulfilling the will of the villain of the piece. Aside from the location and the characters of Jasmine and Aladdin, the next part of the plot is pretty similar to Disney’s. In Arabian Nights, a sorcerer pretends to be the brother of Aladdin’s late father (you know, the one who died of shame because Aladdin was a bit of a lowlife), and convinces Aladdin and his mother that he’ll set him up as a wealthy merchant so he and his mother can live happily. The real motive behind the sorcerer’s moves is to retrieve an old oil lamp from a booby-trapped cave, which is the same as the motive of Jafar in Disney’s retelling. In Arabian Nights, the sorcerer double-crosses Aladdin and leaves him trapped in the cave, forgetting that Aladdin is still wearing the magic ring he gave him to enter the cave. Aladdin rubs his hands together in despair, accidentally freeing a genie, who grants his wish to get home to his mother. Aladdin is still carrying the lamp, and when his mother tries to clean it, a second, more powerful genie appears. In the Disney version, there’s no genie of the magic ring. Abu the monkey grabs a forbidden jewel after Aladdin has befriended a magic carpet and picked up the lamp, and the cave collapses. They manage to escape, and Aladdin frees the genie from the lamp, who grants him three wishes. Aladdin has already met Jasmine by this time – she stormed out of the castle to avoid meeting another suitor, and they met and became friends. However, Aladdin was caught by the palace guards, and Jafar told Jasmine he’d been executed. Aladdin was smitten with Jasmine, and since the law didn’t allow Jasmine to marry non-royals, his first wish was to become Prince Ali of Ababwa. The Aladdin of Arabian Nights, however, is motivated by power, not love, and cuts out the time he could spend wooing his lady by simply wishing to become rich and powerful and marry her after magically foiling her marriage to the vizier’s son. He then has the genie build him and Badroulbadour a magnificent palace, far more elaborate than Badroulbadour’s father, the Sultan’s. When the sorcerer realises that Aladdin is alive and living it large, he comes back and tricks Badroulbadour into “exchanging old lamps for new”, and uses the lamp to take the palace and its contents to his home. However, Aladdin still has the lesser genie from the ring, and whilst he can’t bring the palace back, he can transport Aladdin and Badroulbadour to it. With the help of Badroulbadour’s “woman’s wiles” (well, that certainly isn’t in the Disney version! ), he manages to recover the lamp and slay the sorcerer. Needless to say, the Disney version doesn’t involve any slaughter; instead, Jafar is only trapped. This happens following Aladdin being a thorn in his side by going after the same girl, since Jafar’s plan is to marry Jasmine and become Sultan. 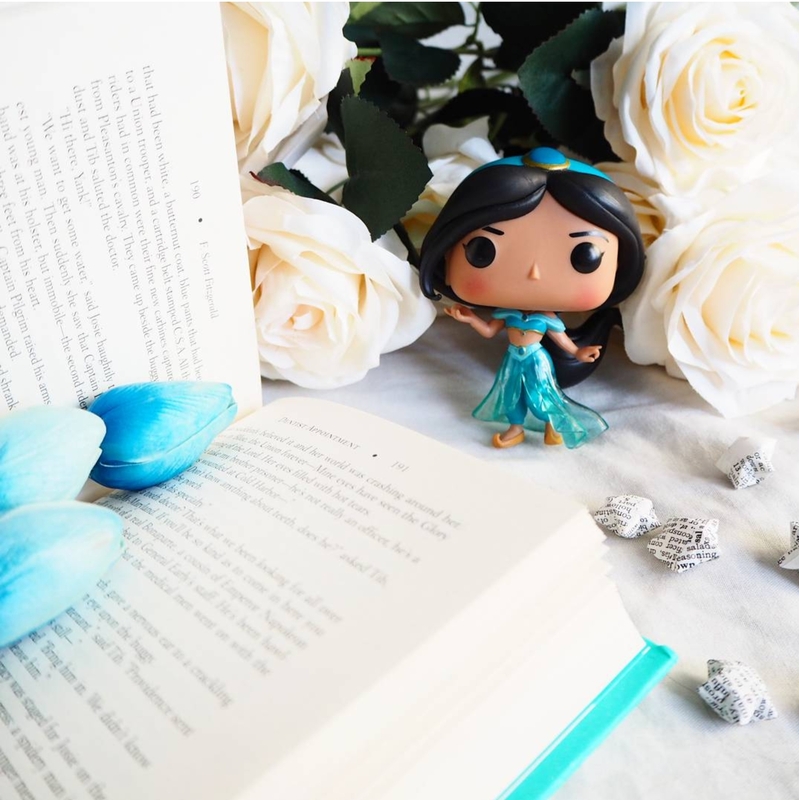 Aladdin slides into Jasmine’s DMs as Prince Ali, and takes her for a ride on his magic carpet (which sounds a lot ruder than it is…) She realises he’s the same peasant boy who was supposedly executed, and he tells her he dressed as a peasant to escape the stress of royal life. Jafar, sensing competition, tries the logical next move when trying to win a chick’s heart – to drown any other options she might have. Unluckily for him, Aladdin’s second wish prevents this from happening. Aladdin of his royal title, exiles him, and becomes the world’s most powerful sorcerer. However, the genie refuses to grant his wish to make Jasmine fall in love with him. Jafar traps Jasmine, but she notices Aladdin in the background and the two work together to get the lamp back, with Aladdin managing to trap Jafar in his own lamp when the sorcerer wishes to become a genie himself. The genie then sends Jafar’s lamp far away, and suggests Aladdin uses his last wish to regain his royal title so he can marry Jasmine. Aladdin, though, is much more moral than his Arabian Nights’ doppelganger, and chooses instead to free the genie. When the Sultan sees how in love Jasmine and Aladdin are, he changes the law so they can be together, and they all live happily ever after. So, as far as Disney retellings go, this one is actually pretty close to the original, albeit a little less adult in terms of killings/seduction! It’s also interesting that the second genie was swapped for a magic carpet in Disney’s version, and that Aladdin was an orphan. What do you think? Would it have worked better to merge these tales somewhat and have it as a tale of redemption where a ne’er-do-well who shames his parents becomes a moral and caring man, and ultimately a prince and loving husband? I think it would have been lovely to give a nod to the story’s origins by having it framed by Scheherazade telling the tale, though perhaps it would have to be Queen Scheherazade telling a lovely bedtime story to her royal children as opposed to spinning a suspicious king a tale as a bid to keep her head on her shoulders! What’s your opinion? Would you like to see Scheherazade in Disney’s 2019 live action Aladdin? Which version of the tales above do you prefer? Let me know in the comments! P.S. Remember, if you’d like to check out the real stories behind any other Disney characters, I might have covered them already in my Grisly Disney section! Do you have any requests for characters you’d like to see the origins of? Let me know! I don’t think I’ve properly watched it since I was an adult really – I had to go off memory and Google for this! I’ll have to rewatch it! Yes, I love that idea! It would be a nice way to introduce the live action movie and make it different to the cartoon! I never much liked the movie but I am impressed how much work and thought you put into this. :O I know a few parts of the original story for example the part with the lamp swap but not all of it. I am actually rather interested in the new movie. Nobody can replace Robin Williams but I guess a Scheherazade would be a good idea instead of the Peddler. What about you? Is Aladdin one of your alltime favourites? Or rather…meh? To be honest, I kind of feel the same! It was never one of my favourites – not that I disliked it at all, but I just never really thought much about it! 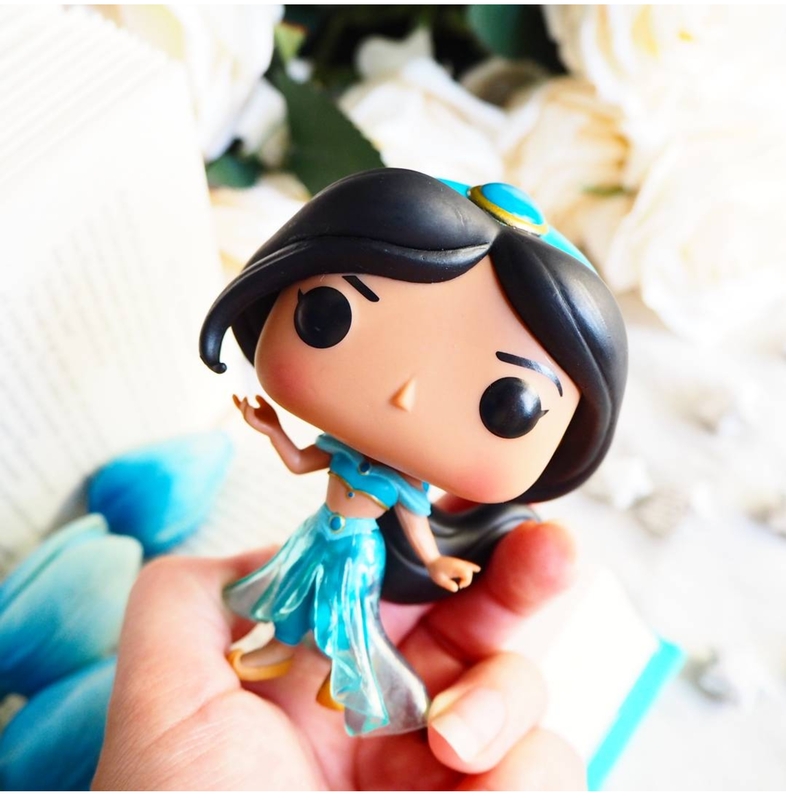 Growing older, I do like Jasmine as she’s sassy and bold, but as a kid, I could pretty much take or leave Aladdin! I am interested in the new movie and if they’ll put Scheherazade in it – I doubt strongly that they will! !